Custom fit gray All Terrain Floor Liners rear 1-Pc, fits 2007-2014 Jeep Wrangler Unlimited (JK), both RHD and LHD models. 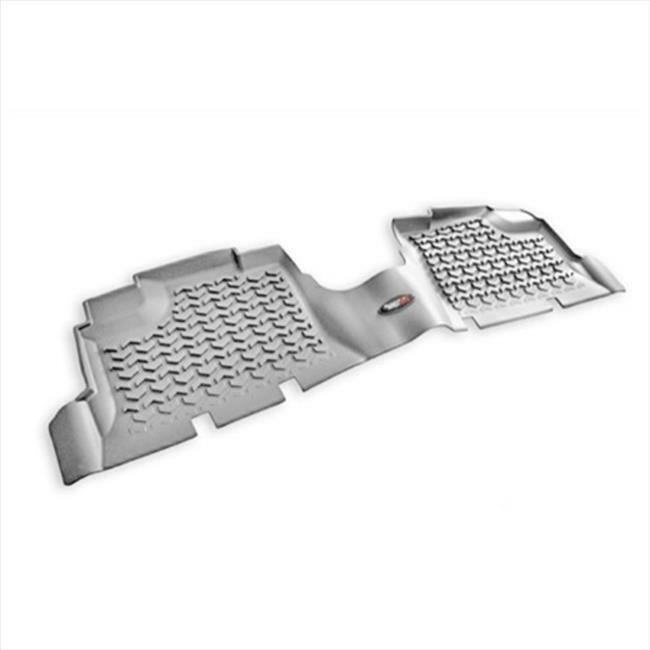 Rugged Ridge Floor liners provide complete protection for the cabin floor of your vehicle while keeping it looking factory fresh. Each liner is perfectly contoured to your vehicle's floor for precise secure fitment. The raised lip captures all spills, water and debris keeping your interior pristine.